Helping women reclaim their health through hormone balancing, digestion, stress management and diet. Could your lighting environment be making you fat? According to the biomedical student and researcher Scott Patton, the answer is ABSOLUTELY! For 6 million years we rose with the sun and went down with the sun. Now we are living under the harsh glare of artificial lighting and we are feeling the effects of it. – why your body needs full spectrum light. – what artificial lighting is doing to our circadian rhythm. – what the health consequences are from our modern environment. – how artificial lighting is triggering cortisol output and the implications of this on your hormonal system. – what simple tools you can start using TODAY to minimize the impact of artificial light on your health. 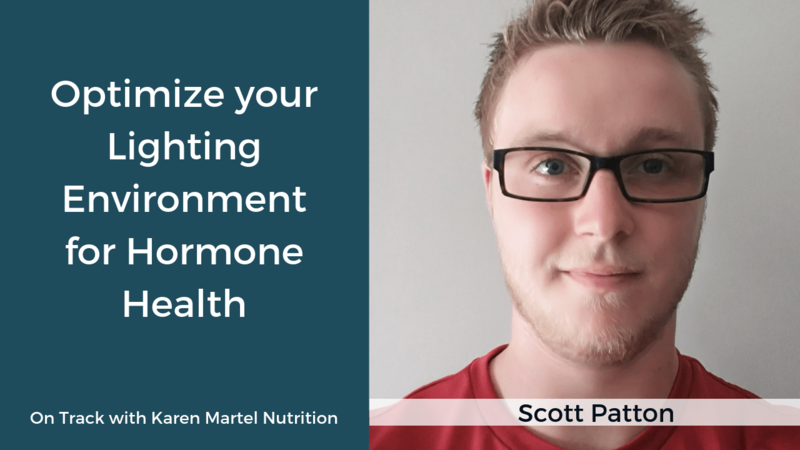 Scott Patton is a BioMedical Science Student at the University of Waterloo and a Strength, Conditioning Coach at Next Level Performance Training and creator of the The Daily Optimization Program. OnTrack is a program for women who follow a keto or paleo based diet and want to optimize their weight loss results! 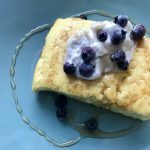 Includes weekly paleo, AIP and keto meal plans, recipes and shopping lists included. Get started with a FREE 1-week membership to OnTrack! This information is not intended to replace a one on one relationship with a qualified health care professional and is not intended as medical advice. Karen Martel encourages you to make your own health care decisions based upon your research and in partnership with a qualified health care professional. The entire contents of this document are based upon the opinions of Karen Martel, unless otherwise noted.